2017 HSP Gathering Retreats: California and the Netherlands ~ What wants your heart’s attention? 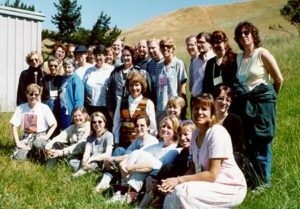 Many people do not know that the HSP Gathering Retreats were given to me in a vision while I was hiking in Rocky Mountain National Park in 1999. I have been honored to watch the Gatherings dynamically and organically grow and evolve. I have been humbled with the realization that they were given to me as a spiritual gift – a gift to give away to you. My role has been to nurture and gently guide them ~ letting them have their full reign as our own HSP spirits have slowly awakened, grown and become empowered. And did you know there is now an “HSP International Movement” ? The 26th HSP Gathering Retreat held in Enkoping, Sweden in May of 2013 was one of my favorites — we had 28 HSPs from 15 different countries ! Here is one of my favorite videos of that special time. with co-hosts Bevin Neimann of Sensitive Journey http://sensitivejourney.com and Jennie Tilton from Fort Worth, Texas. Bevin and Jennie have been instrumental in the success of the Dallas / Fort Worth HSP Meet Up. 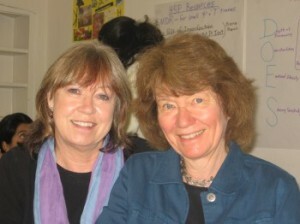 Barbara and Annet have attended several HSP Gathering Retreats and have been co-hosts at several including Germany in 2015; Sweden in 2013 .. and Barbara in England in 2011. 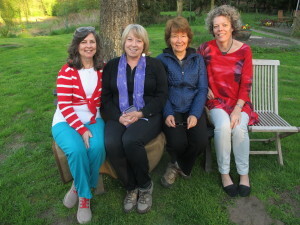 How fortunate I am to have such lovely HSPs supporting not only me but also the vision of the HSP Gathering Retreats. What can you expect from a HSP Gathering Retreat? “HSPs like other HSPs. HSPs help each other. At both Gatherings, Jacquelyn will be sharing what it’s like to live with an Integrated Wholeness of the Heart as an HSP and also The HSP & Self Identity ~~ sharing the gifts of the Myers Briggs Personality Assessment. If you have previously taken the Myers Briggs, there will be another educational option offered by Bevin called The Wisdom Perspective. How wonderful to have Elaine joining us for the day on Sunday. She will share a Pilgrimage to Nowhere: Mine and Yours, from her 6 month sabbatical which ended in February of this year. She will be joining us via Skype when we are in the Netherlands ! Having Elaine Aron join us is much like looking forward to an incredible, richly rewarding dessert … after an already exquisite main meal.